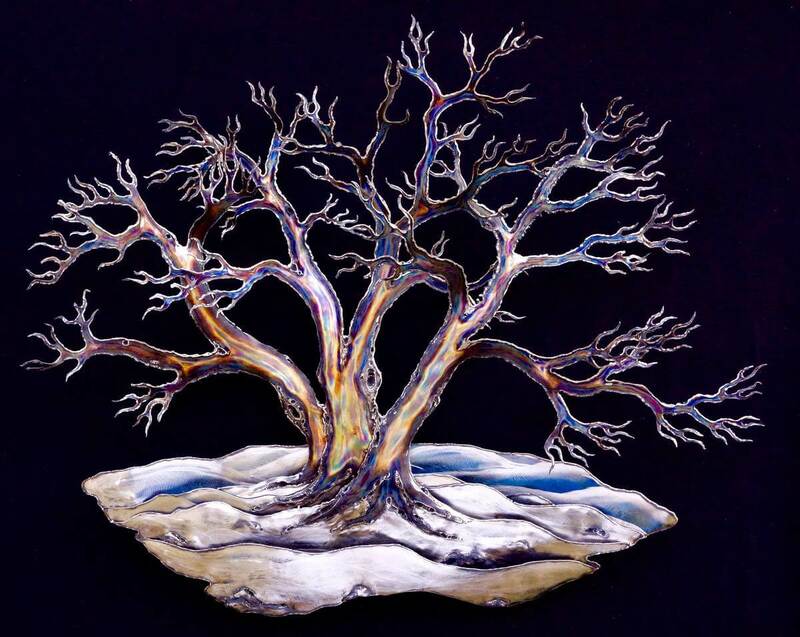 This metal snow-laden tree sculpture is wall hanging and is handmade entirely out of stainless steel. I love huge old trees in the winter time. I find them calming, powerful, grounding, wise and steadfast while still full of life and motion ready to burst forth with life as soon as the spring warmth returns. 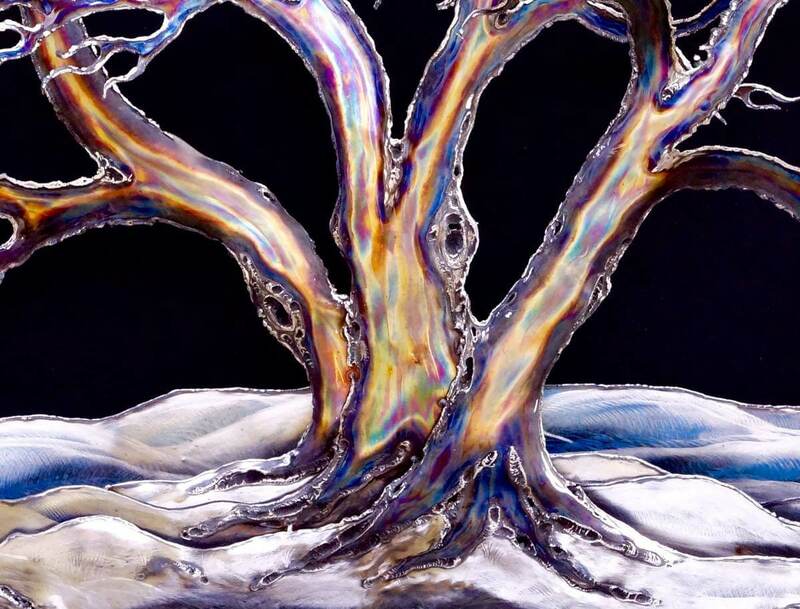 I wanted to create a sculpture and try to capture some of those qualities in a sculptural form. 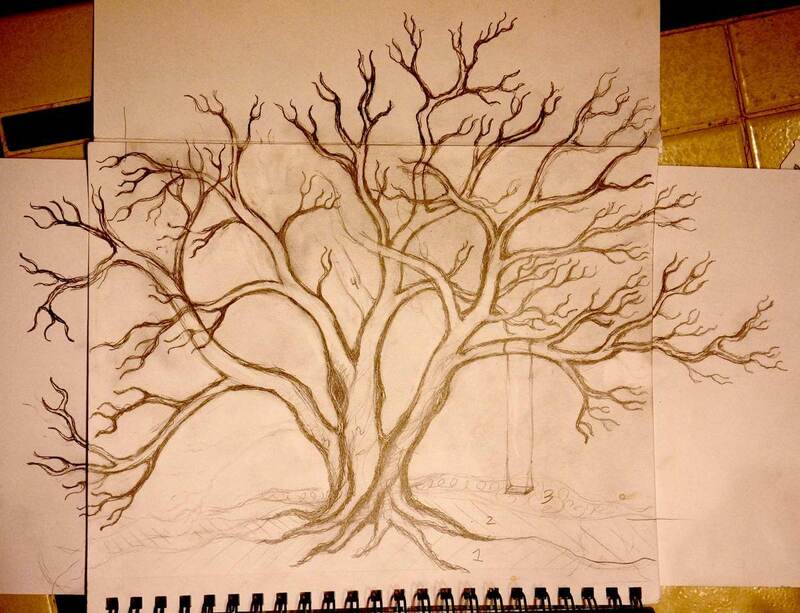 My favorite part of this piece was getting the roots to flow into the snow in a lifelike manner. This sculpture must be kept indoors.